With dozens of Santa Barbara court employees cut off by mudslides, an unusual partnership with a neighboring county helps keep the court running. SANTA BARBARA—Just a day after mudslides devastated Santa Barbara County and shut off roads and freeways throughout the region, court accounting supervisor Rob Vlieger found the one way he could get to work: onboard a whale-watching boat. It was a gut-churning two-hour boat ride, with ocean swells that reached eight feet. Judge Clifford Anderson, who lives in the hard-hit Montecito community, must still boil water for his showers and can only return home by tailing a sheriff’s deputy through the wreckage of his neighborhood. 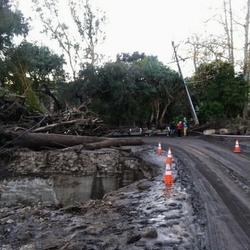 While many Santa Barbara Superior Court employees have found creative ways to commute to court and keep services running normally, many dozens more were stuck south of the courthouse, with Highway 101 shut down and other roads buried under feet of mud, rocks and debris. The highway reopened last weekend after a nearly two-week closure. 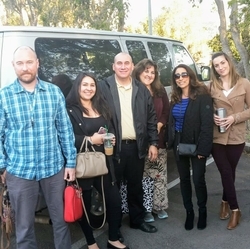 PHOTOS: Santa Barbara court employees (left) are shuttled through emergency areas devastated by mudslides to get to and from work at the courthouse (Rob Vlieger/Judge Clifford Anderson). Facing dozens of his workers stranded, Santa Barbara Court Executive Officer Darrel Parker began thinking of ways to get his court employees back to work. (Out of curiosity, he asked how much it would cost to have a Gulfstream 4 jet fly his employees over the wreckage. $12,500 one-way—that expensive proposition was quickly scrapped). Parker called his counterpart a county away to ask about a more reasonable alternative—Ventura County court executive officer Michael Planet agreed to host the Santa Barbara court employees cut off by the closed highway. There, the workers connected to their online case management system to process citations and court files and set up their cell phones to receive calls made to their landlines. 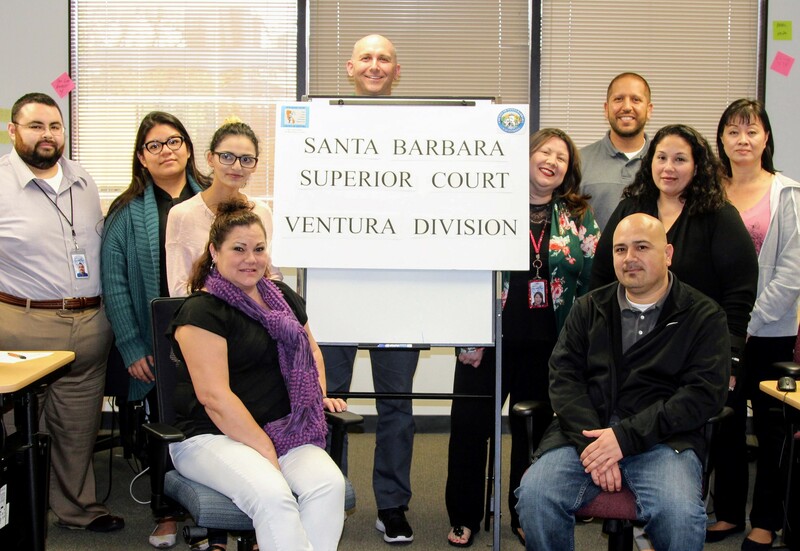 Since Santa Barbara made electronic filing of civil cases mandatory three years ago, and users now file most criminal, juvenile and traffic cases electronically, staff could process the filed documents sent by their colleagues a county away. 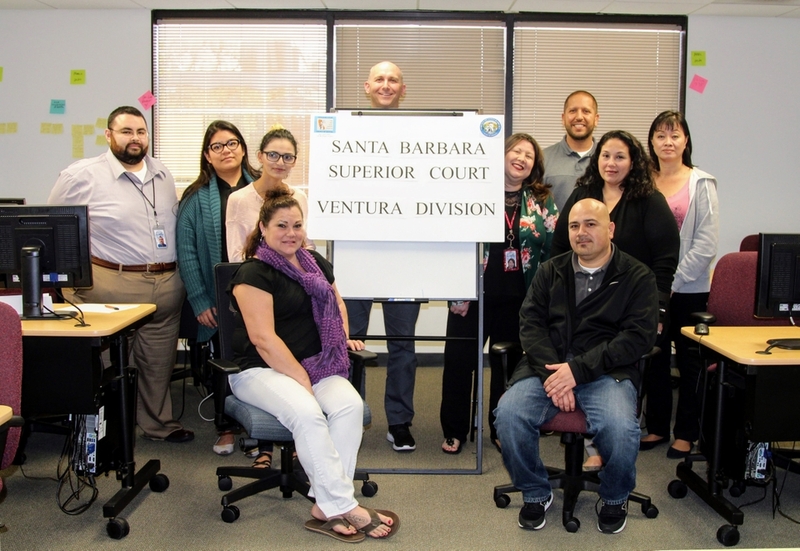 Santa Barbara court employees at the newly minted "Ventura Division" (Ventura County Superior Court). Parker said many employees are relieved to be back to work, a small return to normalcy after weeks of disasters. It began in early December with the Thomas Fire, which burned more than 280,000 acres and destroyed hundreds of homes before it was snuffed, creating the conditions for the deadly mudslides that followed. The fire came within two miles of Vlieger’s home, and he knows many people forced to abandon their homes in the middle of the night to escape the flames.